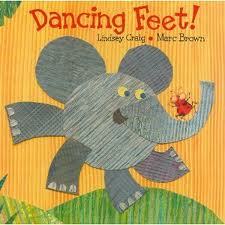 This week’s storytime theme is On the Move! I did a transportation theme in the fall, and really didn’t want to reuse that theme so early (I try to do one theme per school year), so this theme is about movement in general: mainly transportation and dancing for this particular storytime plan, but you could also use books and activities about going on a journey/adventure, or about a family moving. We march fast on green. Slow on yellow. And freeze on red. 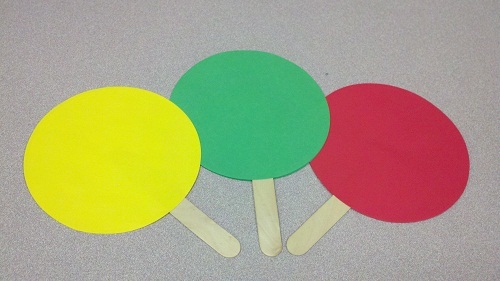 This is a storytime favorite activity here with the kids, and I love that it’s simple enough that even the toddlers can participate! 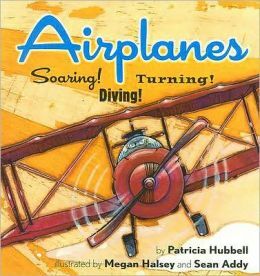 This book talks about the many different types of airplanes (big, small, propeller, jet, etc.) and their different uses (crop dusting, military, transportation, etc.) I love that it’s very informative, but still lighthearted enough to keep the kids’ interest. Also the pictures are begging to be dissected during a one-on-one storytime (Is that lady dressed like she lives in the Victorian era yet listening to an iPod on a jet plane next to a mouse? Why yes. Yes she is!). Different animals are dancing! Can you guess whose feet these are? I love books that have interactive features built right in! The kids really enjoyed guessing the animals. This was the perfect book for this point in storytime because I had a toddler who was restless and playing a game on his grandma’s iPhone (sound turned off). 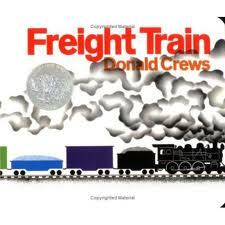 But even he put the phone down and participated (very loudly and proudly) during this book. 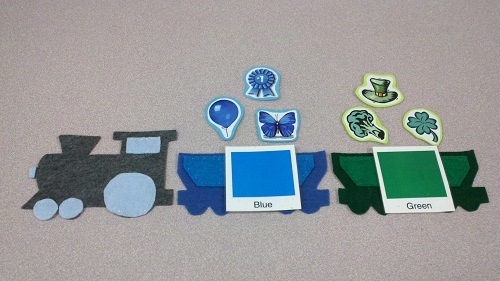 I broke out the sorting train that I mentioned in last week’s Flannel Friday and we sorted colors! The kids really loved this one! I know I haven’t been talking about the rhyme cube much, but I have to say that it’s one of my favorite additions to storytime! The kids get really excited about it. They like to see which song it lands on, and I like that we’ve gotten to know the rhymes so well that everyone sings along with me. 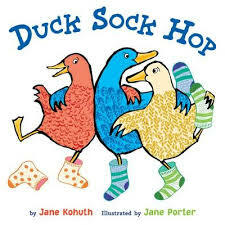 This was my first time reading this book in storytime. I wasn’t sure how well it would go over with the preschool crowd, but they seemed to enjoy it. It was a good book to use for practicing colors. Green Says Go and Dancing Feet seemed to be the favorites for this one. So many smiles on the kids’ faces! The other books/activities also went fairly well. I think this was a good storytime because it was very interactive and none of the books were too long. If I were to do this theme again, I would probably add a round of Heads, Shoulders, Knees and Toes into the mix to keep the kids moving.